Are you looking for your child or worried about a young person growing up around chemical dependency? Silkworms offers a safe and supportive environment in which to help children explore their feelings and the impact of chemical dependency, as well as providing them with tools to help them manage their emotions and to keep them safe beyond the programme. Our four day programme incorporates various games and activities to help children understand chemical dependency and its effects, in age appropriate language, while providing a shared experience for youngsters to help one another’s understanding. Regular children’s after care sessions after Silkworms ensures participants continue to be supported with living alongside chemical dependency while offering a new group environment based on friendship and trust in which to share and explore their thoughts and feelings. Chemical dependency can be confusing and frightening for children; they often think they’ve caused it and blame themselves for not being able to control or stop it. They too can get lost within it, caring for the addict and others in the family and losing sense of themselves and their needs. 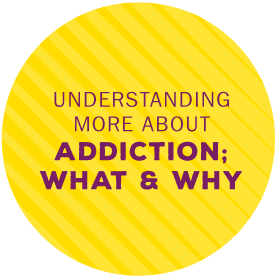 By learning, understanding and coming to terms with the reality of chemical dependency, away from it, children can start to alleviate their sense of responsibility and separate the addict from their behavior. Children living in an environment where chemical dependency is prevalent can often carry secrets and shame as well as feeling confusion and guilt and many struggle low self-esteem, seeing themselves as helpless, worthless or bad. By creating a safe and supportive environment, children can begin to identify their thoughts, feelings and concerns. 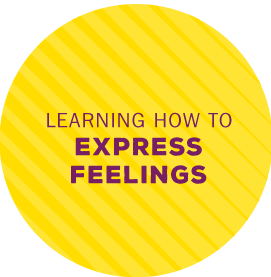 They can then start to express their emotions and to learn ways to work through these and how to manage them. Growing up around chemical dependency can be uncertain, chaotic and stressful and everyone is affected. Chemical dependency also prevents addicts from consistently loving the people who mean the most to them. We support the child with tools and techniques to help them feel and stay safe beyond the programme, as well as identifying the people and organisations around them who may be able to offer help in a time of need. Encouraging children to celebrate their strengths and skills can help them feel better about themselves, as well as the family member and their chemical dependency. Therapeutic work between the two aims to help both to reconnect with a new understanding and awareness. Family members join their children to share their feelings and to mark the end of the programme.